This is a fraction of what we will look like at the airport. Packing light for 33, no way! The Director began packing 2 weeks ago and is now beginning the final purge and repack. 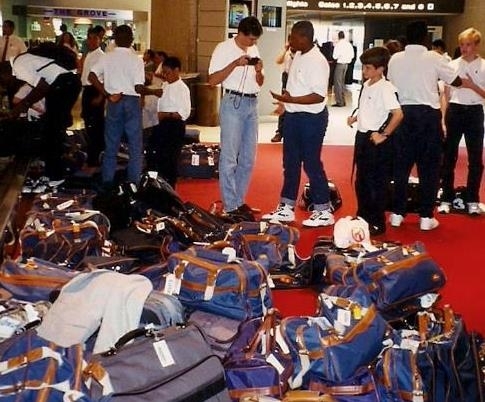 How many boys and parents began the packing yesterday, the Saturday before departing?Tour is as much an education for parents as it is for the boys. “How do I let my 10 year old pack his own suitcase so that he knows what he has and where his belongings are within the traveling closet?” vs. “How do I get it right for him?” Oh the opportunities that await, both the known and the hidden. We hope you will join us on our journey. Like us on Facebook or follow us on Twitter there are a numerous ways even just right here in WordPress.